On Friday January 22, 2010 we will be giving out free slices of pizza to USC students and faculty who have emailed us to receive their free slice coupon. 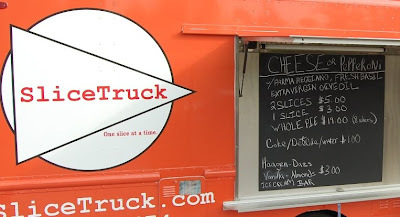 In order to receive your free slice coupon you must email free@slicetruck.com. You will then be emailed back your coupon to print out. This not only give us the opportunity to allow USC to try our pizza but will also give Lane Kiffin another chance to claim his free slice provided he first sends us an email. He'll need his USC id also, I'm not positive it would be simple to distinguish him from some other guy from Tennessee. SliceTruck will begin delivering pizzas on USC's campus next week. Tonight we will be on Figueroa at 28th street if you'd like to buy a slice or pickup a whole pie. Coupons won't be active until 10am Friday.